Review Stranger Things. This is a New Netflix exclusive TV series that has just been released about 2 weeks ago. 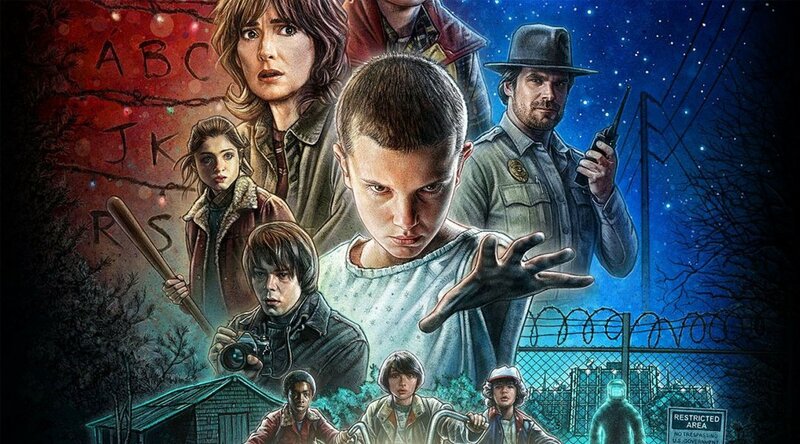 Archive’s review stranger things. This is one of the best shows on TV since Breaking Bad. If you like Sci-Fi / Horror / The Goonie’s with 80s styling thrown in then you’re in for a treat! Within the first few minutes of watching this I could tell I had found something special. The opening credits and soundtrack had me hooked from the start. Stranger Things is set In a small town where everyone pretty much knows everybody’s business. A peculiar incident triggers a chain of events that leads to the disappearance of a young child which begins to tear at the fabric of a peaceful community. Dark government agencies and seemingly malevolent supernatural forces converge on the town, while a few locals begin to understand that there’s more going on in this small town than meets the eye. The characters of the show are the true stars. The casting is amazing – every single character, regardless of how small the part is, feels like a complete character, and the main cast delivers some powerful stuff all throughout the series. The production is spot on in it’s portrayal of a small town in the 80’s, everything feels real. They certainly help to carry this show. Production is good with some beautiful cinematography, editing, lighting and sound. The soundtrack is spot on. The setting and style of everything in the locations where also great to see and felt real and interesting. The way everything was shot also captures every moment expertly and really helps to draw out those story moments with greater emotion.